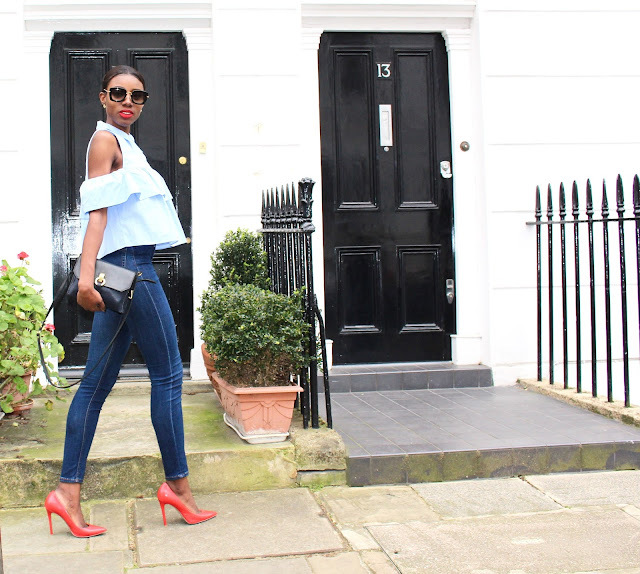 Now that we have hit spring, I guess you can say that summer is fast approaching and I for one cannot wait! 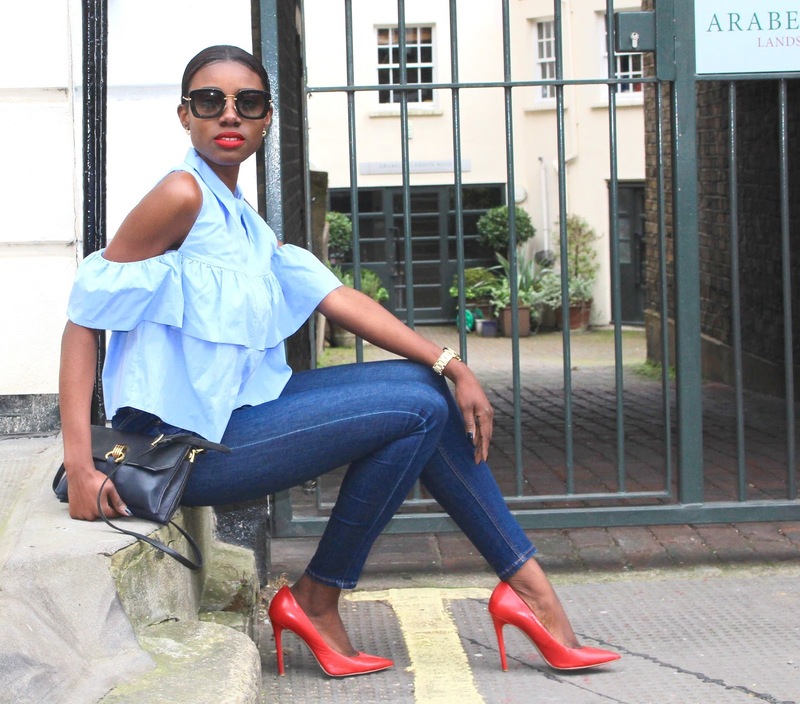 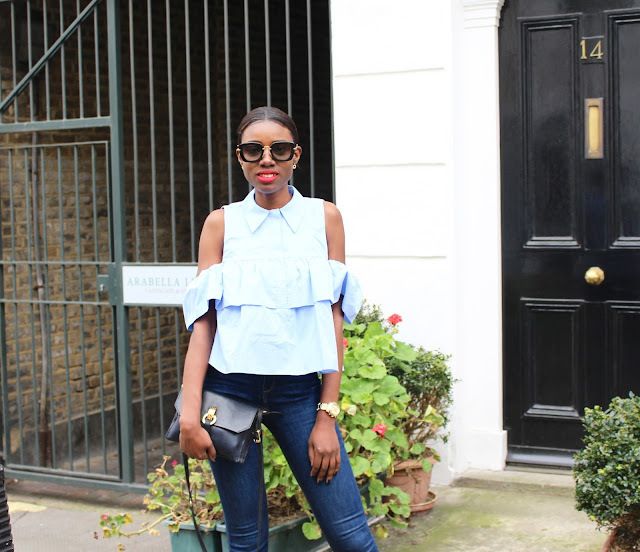 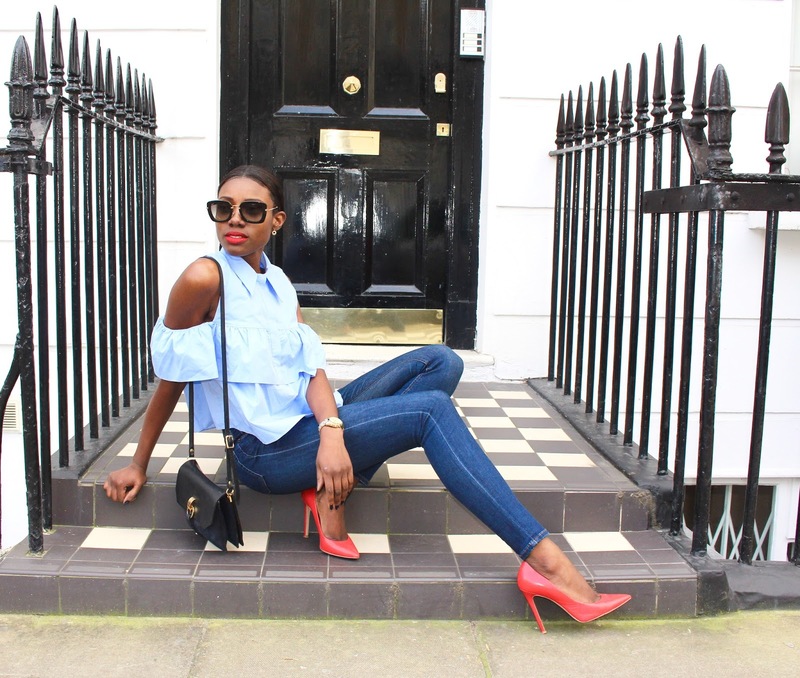 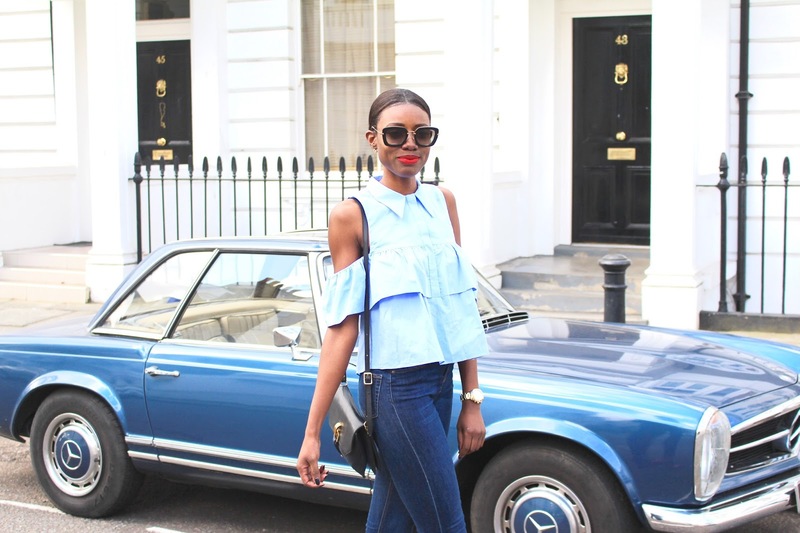 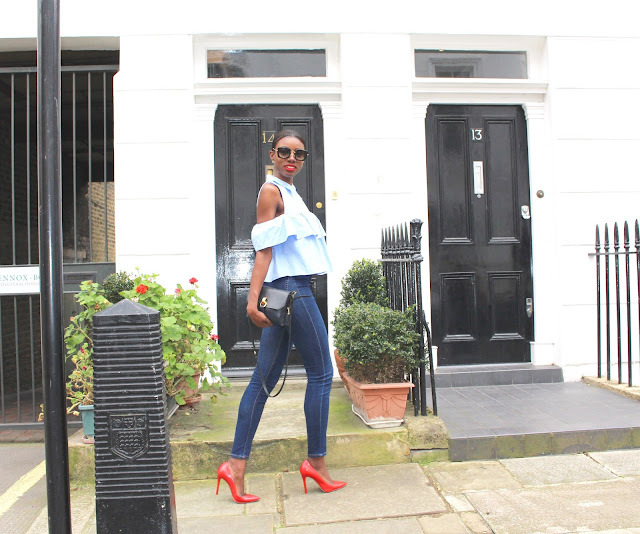 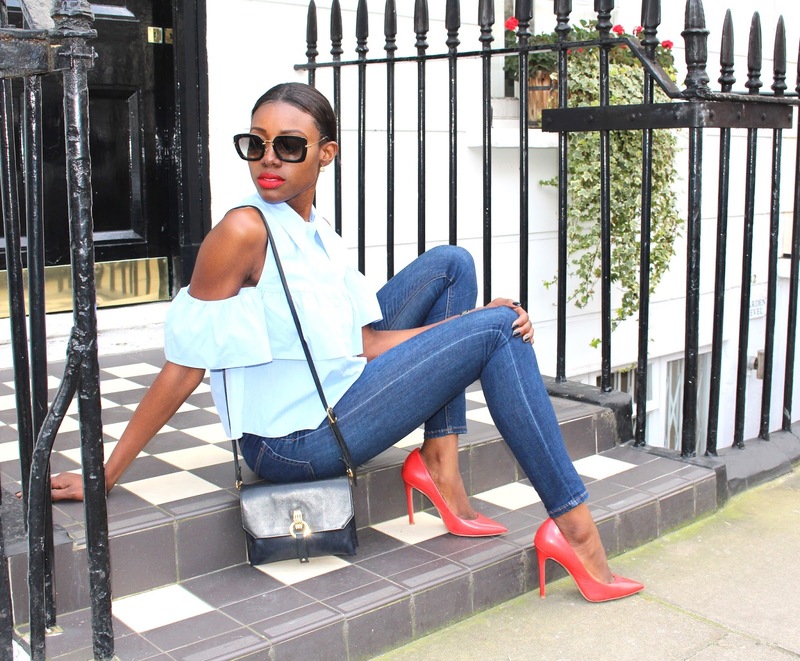 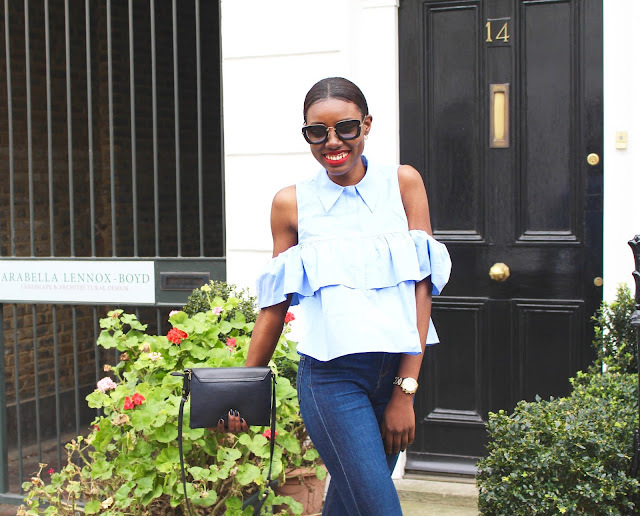 I am getting in on the off the shoulder action with this frilled poplin shirt from Zara. 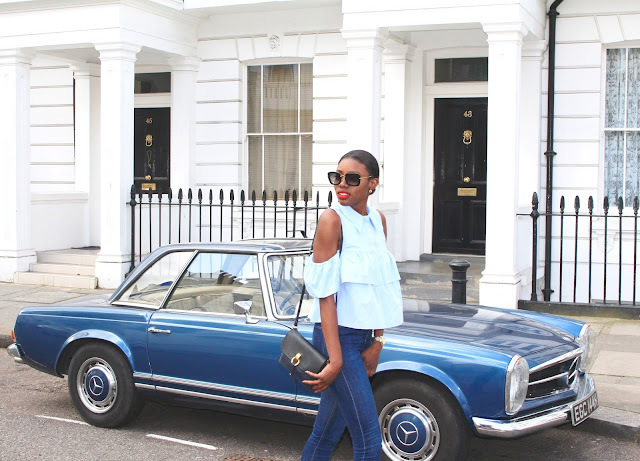 It's one that I picked up a little while ago and fortunately it is still out in the shops, in case you do fancy grabbing it I have listed the link to it below. 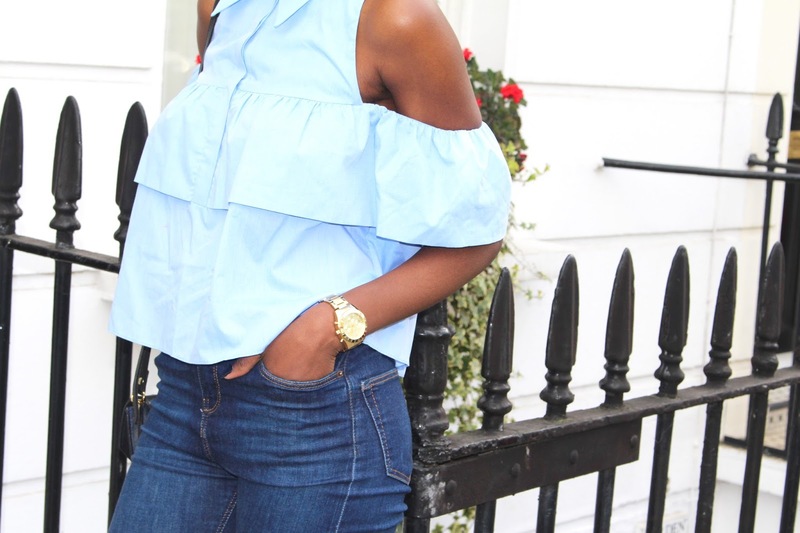 Its such an ideal top for the spring summer season, easily ticking off the off the shoulder trend and also giving a nod to the summer frills. 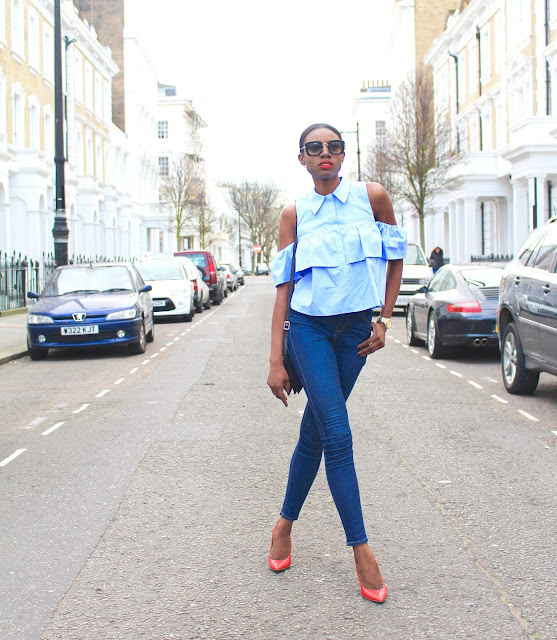 I chose to pair it with a pair of jeans being that it is spring but you could pair it with a pair of shorts for those warmer temperatures in summer.